The Beatles, the Philippines and President Marcos…. Fifty years ago in 1966 the Philippines fell out of love with the Fab Four. It was also the year that John Lennon made two comments, one which was to be his eventual downfall. In July 1966 the Beatles toured the Philippines. Little did they know that the dictator President Marcos and his wife Imelda were accustomed to (and expected) absolute attention; and they certainly didn’t take kindly to the fact that the Beatles refused an invitation to attend a breakfast reception at the Presidential Palace. Their manager Brian Epstein politely declined the invitation on the grounds that it was the group’s policy not to accept official invitations. Marcos took this as a personal snub to his family, and consequently revealed this perceived insult to the media, who ran with it, implying that it was also a snub to the Filipino people. Subsequently all police protection was removed from them. The group and their entourage had to reach Manila airport unguarded. Their road manager Mal Evans was assaulted, and the band encountered a hostile crowd. Although they managed to board the plane, Evans was removed, and Epstein was forced to hand over all the group’s Philippines earnings before they were all permitted to leave the country. It led to John Lennon remarking that should he ever return to the country, he “would fly over it with an H-Bomb”. Biographies have suggested that they were all lucky to escape with their lives. Of course we can argue now that perhaps the Beatles were not familiar with international diplomacy, but they relied on their manager to manage, and the manager made a decision. Yet the times were different. Marcos was all powerful, and this unwitting act of disrespect was a personal insult which he successfully manipulated his people to generate sympathy for him. It’s a classic example of one man exercising power for his own ends. Indeed, this event is not so much about the Beatles, but about pride and power. It’s about a despot who assumed that his power was omnipotent. It would be another eighteen years before the Filipino people finally realised that this was power absolute and had the courage to rebel in 1984. Of course, John Lennon did not make that remark directed at the Filipino people. At the time he was only 25 years old. Marcos in contrast was nearly 50 years old – so who do you think should have been the wiser? His wife was 37 at the time, and many would argue that she’s still none the wiser. Yet this was to be the catalyst of John Lennon’s demise. Three months earlier, in March 1966,he was reported in the London Evening Standard, during a fairly innocuous interview as stating that the Beatles were more popular than Jesus. This was picked up by right-wing religious conservatives in the US, and exploited. It further fuelled the anger in the Catholic dominated Philippines, which even today they wrongly regard as the blue touch paper which set the firework off. Through clever propaganda, instigated by Marcos, the Filipino people, half a century later, believe that their antagonism to the Beatles was because of Lennon’s Jesus statement. It could not be further from the truth. 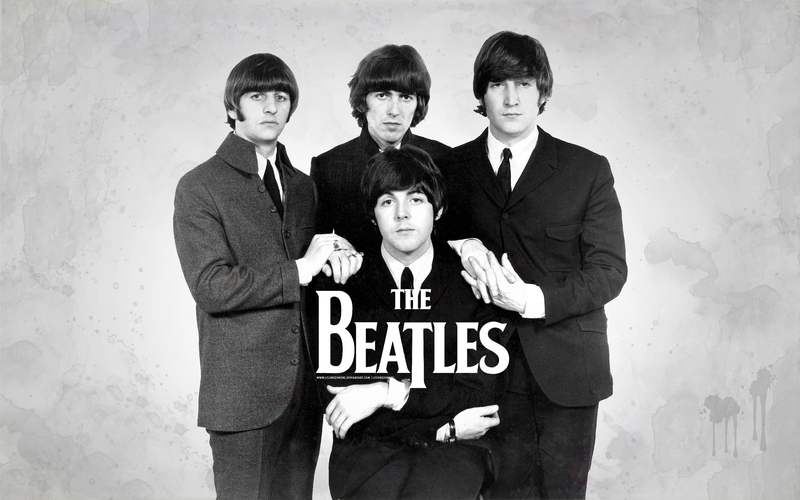 The story had no merit until a US teen magazine naively ran with it on their front cover, resulting in an evangelic radio station WAQY in Birmingham, Alabama announcing that it wouldn’t play anymore Beatles music and that they were going to burn their records. This led to a domino effect, and other radio stations followed suit. The English brushed off his comments in the newspaper at the time – they were considered of no relevance, and merely the ranting’s of a young man. Not a single word of complaint came from the Church of England or the Roman Catholic Church. In August when the situation had reached a rolling-stone momentum which threatened the existence of the group, John Lennon was forced to apologise twice – stating that he was not boasting about the fame of the Beatles, and he never intended to cause offence to people of religious faith. It happened in Chicago and proved to be the last Beatles tour. So let’s put the record straight – here and now! The Filipino people didn’t get angry with the Beatles because of what John Lennon said. They were manipulated and encouraged by a state-run media, controlled by a demigod dictator, who was snubbed by the most popular band of the age. He felt insulted, and it struck at his pride. Such was his bitterness that he ensured that his countrymen would feel the same pain and humiliation. He controlled the media, the military and the government and therefore he controlled the minds of the people. It is he and his cronies that the Filipino people should be angry with – not the Beatles. Today, the Beatles are revered in the Philippines and there isn’t one karaoke bar which is not playing a Beatles song and not one Filipino crooner who doesn’t attempt to sing one. As Paul acknowledged – it wasn’t the people, but the regime that caused the problems, and he’s actually proud in hindsight that it was the Beatles which snubbed the Marcos family and dented their pedestal. The Crimea…Half a League Onward……. Just over a hundred years ago the world went to war, and the stage for it was set by another smaller but no more less significant conflict almost 60 years earlier. It’s a timely reminder – because it was called the Crimean War. It was a war which altered the balance of power in Europe, and which subsequently led to the assassination in 1914 of Archduke Ferdinand – heir presumptive to the Austro-Hungarian throne. His killer was Gavrilo Princip a Serbian nationalist who wanted the South Serb provinces to break away and be combined into Greater Serbia – or a Yugoslavia – a union of South Slavic countries. This ultimately led to other European states being dragged in, all vying for their position and alliances, and so it was that the Great War began. This brief introduction, deliberately short on studious analysis is merely to put the Crimean War into context. And we must go even further back from it’s origins to understand how and why the Crimean War began – as far back as the Napoleonic Wars 200 years ago. 2014 commemorated the 100th anniversary of the start of World War One, but last year 2015 also commemorated the 200th anniversary of the Battle of Waterloo and the end of Bonaparte’s dream of a European empire, with he as her emperor. At the end of the Napoleonic war the great powers Britain, Russia, Prussia, Austria and France got together in Vienna to try and restore European stability by suppressing revolutionary republics and supporting sensible monarchies. Known as the Treaty of Vienna, it led to 30 years of peace in Europe. By 1845 this peace was showing signs of cracks, principally because of the weakness of the Ottoman-Turkish empire. Then as now Turkey had one foot in Europe and the other in Asia, or more to the point one foot in European Christian orthodoxy and the other in Islamic Middle East. At this point enters the protagonist, then as now – Russia. Tsar Nicholas was keen to take advantage of the weakness of the Ottoman Empire with a view to carve up the European part of Turkey and gain some valuable strategic areas. This effectively would give Russia control of the Dardanelles, the strait which connects the Black Sea to the Aegean, and more famously known today for the disastrous tragic WWI campaign of Gallipoli. Due to increased Russian aggression, Turkey declared war against Russia in October 1853. A month later the Russian Black Sea fleet destroyed a Turkish squadron at Sinope, a Turkish city on the Black Sea, which galvanised British concerns because it threatened her trade links with Turkey and India. The French, who had no particular interest in Turkey, chose to ally themselves to Britain because they were still smarting from their defeat by Russia in 1812 (later immortalised in Tolstoy’s “War and Peace” and Tchaikovsky’s 1812 Overture) and thought that this was their chance to return the bloodied nose. An ultimatum was issued to Russia to evacuate from the area by March 1854. That month was significant because by then the Baltic ice fields would break up allowing the British to annihilate the Russian fleet should the demand be ignored, which it was. By August the combined Anglo-French fleet took control of the Baltic. Austria subsequently joined the alliance and together contributed to an army of 60,000 to defend Istanbul. The Russian Tsar ignored the threats (shades of Putin here) and called the bluff. A British plan was formulated to land in the Crimea, and attack Sevastopol with the view of destroying the Russian fleet and the dockyard. What followed was a catalogue of indecision, chess board manoeuvring and glorified Victorian valour which resulted in the Battle of Balaclava and the Charge of the Light Brigade. This astonishing display of bravery, courage (madness some will say) into the “valley of death” as Tennyson penned it, so shocked and frightened the Russians that they never again dared to face the British in the field. Eventually there was a victory of sorts, and the Russians accepted defeat, the demilitarisation of the Black Sea, and for a time the European settlement of the “Turkish Question”. With the 1856 Treaty of Paris, (as with all face-saving treaties of this kind) Russia went home to lick her wounds with a modicum of compensation. That’s what it’s all about and that’s why the defeated always walk away with a prize of sorts. Political expediency, diplomacy and conciliation make the world go around, regardless of the pain and suffering to get there in the first place. It’s easy to start something, but damned difficult to end something. A lesson we never seem to learn. Today Russia is on the aggressive ascendancy, and Turkey seeks a political route to European Union membership through clever compromise and negotiation regarding the current mass refugees crisis. History may be the past, but it is also the present and the future, and we ignore it at our peril. How did Russians conquer Crimea from the Muslim Tatars? Pragmatism is the key to this UK General Election, yet by very nature of the word it can stifle change and continue the status quo. All of us like to think we are pragmatic. It implies we are sensible, realistic, grounded and practical. That’s why most of us who will vote on May 7th will favour the established political parties – Conservative or Labour. It’s the comfort factor – idealism is all very well, and whilst many of us will have high ideals, and may even strive for them – the fear of instability will override them. Such loyalty, although commendable, invariably reduces risk, and risk is a factor for those who want to live stable lives – regardless. Families require security – they know that the Socialists will tax more to pay for essential services. By contrast they know that the Conservatives will reduce tax, but the spending power of the individual will be increased and therefore essential services will be paid through a a growing healthy economy. Both are in essence ideals – they just differ on the method of delivery. A sensible electorate will vote for one or the other. Not because they are the only choices, but because they are the established safe choices. Yet, for the second time in five years, a majority government seems unlikely. It is the age of coalition, and until 2010 this had never happened before except during a time of war – World War II. Then it was the right thing to do – when political differences were set aside to fight a common enemy. Today we don’t have a common enemy, we just have common differences and in the mix are small parties with specific agendas, and anyone of them could play politics and hold the balance of power. A minority Labour or Conservative government could function, but they would have difficulty implementing policy without doing deals with undesirable bedfellows. The Scottish Nationalist Party, who seek an independent Scotland within the EU (a party which recently forced a referendum to leave the UK and lost) could have influence in the very Parliament they wanted to leave. 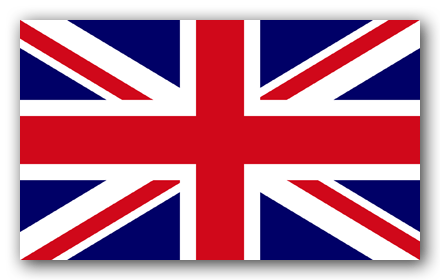 The United Kingdom Independence Party which wants to leave the European Union and have strict immigration policies could have influence likewise. The Liberal Democrats – the party which formed a coalition with the Tories in 2010 have achieved little, but believe they are the party to keep a balance on an all powerful government. The Green Party which may catch votes, are unlikely to have any significance. Then there is the Democratic Union Party who power-share the Northern Ireland Assembly with the Irish Republican party Sinn Féin. Then there is Plaid Cymru the Welsh Nationalist Party who seek an independent Wales within the EU. All will attract votes, yet all in their own way will render impotent a UK Government holding a minority. So when Nigel Farage, the leader of UKIP declares that “all bets are off” – he is quite right. That’s why this election is probably the most significant in modern times. A minority Labour or Conservative victory will result in deals being done with the aforementioned. Labour will not contemplate leaving the EU unless it can change it from within. The Conservatives are committed to a referendum on EU membership in 2017. UKIP want categorical and unconditional removal from the EU. The SNP want Scottish Independence. The DUP wants greater control in Northern Ireland, and Plaid Cymru wants Welsh independence within the EU without influence from a UK parliament. Neither Labour or Conservative want a coalition with any, and for the next 38 days they will surely attempt to distance themselves from any potential scenario. Meanwhile our country is being shoved and pulled in the world of international affairs. Our military is diminished, our economic power is questionable, our values are clouded, and our status in the world is opaque. We are the repository of wealth from the global rich, yet our own people cannot afford to live in their own Capital. Our treasured jewel the National Health Service is under attack, our fundamental values which we imparted to the world of care for the elderly, sick, disabled and less fortunate have now – in a dramatic turnaround – become ideals, and our prided pragmatism is now seriously questionable. The Great War – A Right Royal War….. In this centenial decade of WWI, revisionist theorists and historians are keen to highlight the sheer stupidity of it, and argue that it was the crowned heads of Europe who played it out to their own designs. Others say it was necessary to enter the war to prevent an aggressive Prussian Empire from gaining more power. Both are right – but neither argument makes it right. My own simplistic view, having read extensively about Queen Victoria is that had she not been such a bunny boiler (as far as her husband Albert was concerned), she wouldn’t have born so many children which she was hell bent to distribute throughout Europe and marry them off. A consequence was her eldest grandson Willelm II, aka Kaiser Bill, King of Prussia whose bellicose, bombastic impetuousness triggered the bloody war in the first place. Yes, we all know that the firework was lit by the assassination of Archduke Ferdinand of Austria, but that was an opportunity not to be missed by Bill. 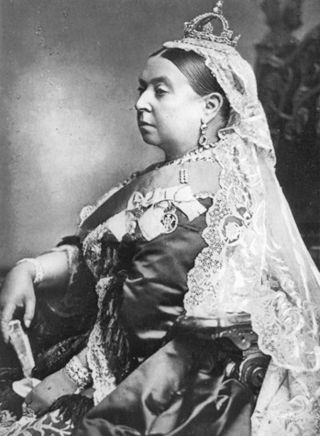 His mother was Victoria’s eldest daughter, Victoria, the Princess Royal. She was married off to his father Prince Frederick William of Prussia who later became German Emperor Frederick III. She became engaged to him when she was 14 years old in 1855 and married him two years later. For Queen Victoria this was dynastic planning. This planning may have resulted in the deaths of millions. It’s difficult to track the connections, but take for example that Kaiser Bill’s first cousin was King George V (grandson of V&A and son of Edward VII, Victoria’s eldest son; and his second cousin was Tsar Nicholas II whose wife Alexandra was a granddaughter of…yes you’ve guessed it..Victoria. Her mother, Princess Alice was the second daughter of V&A who married her off to Duke Louis IV of Hesse. Queen Victoria, rightly or wrongly believed that her children would be instrumental in unifying the European Crown States, and create stability. Today we still have this anachronistic legacy. The King of Spain, Juan Carlos I is a direct descendent of Victoria. His grandmother was Victoria Eugenie of Battenberg who was..here we go again…a granddaughter of Victoria through her fifth daughter Princess Beartrice. Not only was Eugenie Queen of Spain through marriage to Alfonso XIII, but also first cousin of King George V of the United Kingdom, Queen Maud of Norway, Empress Alexandra Feodorovna of Russia (the aforementioned wife of Tsar Nicholas), Queen Marie of Romania, Emperor Wilhelm II of Germany (yes, that bloke), Queen Louise of Sweden, and Queen Sophia of Greece. Is it any wonder Europe is in such a mess? What baffles me about all this, purely from a layman’s perspective, is that back in 1649 during the English Civil War, Oliver Cromwell chopped the head off Charles I as a direct reproof of the notion of the divine right of kings. The parliamentarians really didn’t like him waltzing into the House of Commons swanking away. How then, a mere one hundred years ago, did the United Kingdom find itself embroiled in a war which without doubt was a direct result of royalist manipulation and chess playing? Even today our House of Windsor (formerly known as the house of Saxe-Coburg and changed because of anti-German sentiment in 1917) is directly descended from the matriarch who, having married off her brood, lived the remainder of her life in mourning, was rarely seen, but nevertheless gave her name to an era of extraordinary and unprecedented social change and industrial achievement. The Great War – the war to end all wars was without question directly or indirectly related to the Royal Families of Europe. The brave men who fought (mine and your relatives in living memory) believed they were fighting for freedom. They will be remembered and never forgotten – but did they really know what they were fighting for? Do we know? Even now? Will we ever? Henry – Hooked, Line and Sinkered – by Hollywood! These are the words inscribed on the gravestone, in Churcham, Gloucestershire, of Henry Hook. He died aged 54 on 12 March, 1905. A great injustice was given to Henry Hook, perpetrated by Hollywood in it's desire to spin a good yarn. When I review my childhood I consider myself rather blessed. It was spent throughout the 1960s. I began the decade aged four and ended it in 1969 as I turned a teen. Things like the dawn of the Beatles, the JFK assassination, England winning the World Cup and the first moon landing are all fresh in my mind and I was old enough to comprehend what was going on. But the reason I'm thinking about it now is because 2014 marks the centenary of the start of World War I.
I took the car to the garage to have it's exhaust replaced, left it there and returned home by bus. Upon entering I asked the driver (as I produced some strange metal objects from my pocket) how much to get to my stop? He looked at me as if I'd just landed from Mars. "Are you paying cash?" he said astonished. I affirmed it. "That's £2.40" he replied, in what was clearly a state of shock. So I gave him £2.50. "Haven't you got the right money?" he grumbled. "I only want 10p change" I said (I mean it wasn't as if I was giving him a fiver, which he would probably have rejected anyway). So he fumbled around in a little box and produced my 10 pence coin. I asked him if he'd ever heard of the concept of loose change. "Nobody pays by cash any more" he muttered. "Well, I don't get out much" I replied. There used to be a medical term for this: St Vitus’ Dance. There’s an outbreak of exhibitionism going on, which involves people losing their sanity and gyrating like demented chimpanzees. Also known as “Dancing Mania“, it was a social phenomenon that particularly occurred in Europe during the 14th and 17th centuries. It involved groups of people dancing erratically. It’s also been known as “epidemic dancing” and scientists described it as a “collective mental disorder”, “collective hysterical disorder” and “mass madness”. Historically previous records indicate that they took place in times of hardship. There were also suggestions that people suffered from some kind of poisoning, stress, or tension caused by natural disasters – a collective shared stress, and many danced to relieve themselves of the stress and poverty of the times. Another popular theory is that the outbreaks were all staged. Yet here we are in the 21st Century and a similar thing is happening. What is possessing seemingly normal people to behave like blithering idiots, from a plane load of people hysterically dancing in the aisles at 30,000 feet, to miners underground in Australia – most of whom have been fired as a consequence? Why would people risk losing their jobs, ignoring health and safety, just to expose themselves as a bunch of lunatics seeking attention on the internet? Janine Tugonon brings the House down! As if the Philippines House of Representatives didn’t have enough to discuss, they found time recently to suspend business in order to honour Janine Tugonon. What has the 23 year old achieved in order to earn this prestigious commendation? Did she win the Nobel Peace Prize? Is she in the vanguard to alleviate poverty? Does she head up a charity to fight world hunger? Has she discovered a cure for malaria? Has she devoted half of her life to campaign on the environment? is she a UNICEF Ambassador? Sadly none of these things – she has in fact achieved something much more worthwhile, she was the first runner up in the Miss Universe pageant. Note the term “first runner up” – a euphemism for coming second. Yes, she didn’t even win it! Ms Tugonon’s claim to fame is that she is a beauty queen. sessions in order to meet and applaud her. Apparently her achievement has “earned the admiration of Filipinos around the world”. What, one wonders, would have happened had she won? No doubt a public holiday would ensue, preceded by President Aquino pinning a medal to her ample bosom. The proposer (Mrs Mercado-Revilla), other than being a member of the House of Representatives, is also an actress, married to fellow actor and senator Bong Revilla. Her recent exposure was last December when she became embroiled in the Reproductive Health Bill; appealing for “sobriety to avoid making reckless actions” during one of the proceedings of the Bill (no 4244). fertile that just passing him by can make you pregnant”. Every Bong is good for a Bang presumably. care if she gets angry, she must learn to follow the rules”. Since then Marcoleta has apologised for Bong bashing, and Tanada also apologised saying he didn’t mean to hurt Lani’s feelings. The deputy speaker implied that he was rather tired – having presided for two consecutive days on the RH Bill, “which may have made his tone condescending”. Since then of course, Lani has popped up again, this time proposing a very important cause – ie recognising the fact that Miss Philippines came second in Donald Trump’s Miss Universe competition (which incidentally was won by Miss USA) in Las Vegas. What does it all mean? Before I answer that, it’s important to know that I am an advocate for the Filipino people, that I am a concerned observer, and that I care deeply about that country. But as an intelligent and fair critic, modest and without malice, I fear for the nation because it is led by people who are at best naive or ignorant, and at worst just downright self-serving. Senators are more likely to be personalities from television and film, or the sporting arena, who rely on the electorate to vote for them because of the image, and not the substance. It fails to mention that Philippine Airlines (PAL) is not permitted by the European Union to operate in it’s airspace. It fails to mention that PAL is controlled by the huge conglomerate San Miguel Corp.
A brewery controlling the national airline! It’s enough to drive you to drink! In the meantime that seat of state, with all its incumbency suspends it’s activity to ogle and reward a beauty queen. It’s as if the Philippine Islands are a mere playground for the elite. It is in fact the world’s largest and best golf club. Full of privilege for the wealthy and the rest merely wander aimlessly around it seeking the lost balls. Update: PAL finally met EU status in November 2013 and are now flying direct non stop from London Heathrow to Manila twice a week. Move down ladies and gents – Knife wielding incident at Buckingham Palace! tasered and went down with malice"